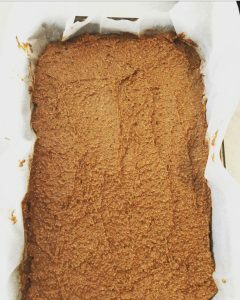 Holly Tickner, a senior Paediatric Speech Pathologist and owner of Taste-Buds, specialises in complex feeding problems and has kindly shared one of her most popular recipes; Veggie-packed brownies. She also offers parent information sessions and workshops that are perfect for mother’s groups and other parenting groups. You can find out more info here. 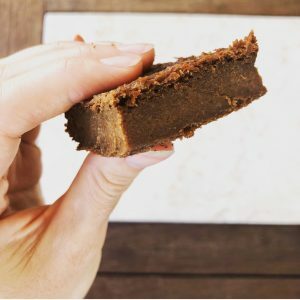 It is always nice to have something chocolatey to indulge in when you need a bit of a treat – and brownies tick so many boxes; fudgey, gooey, and a big chocolate hit! 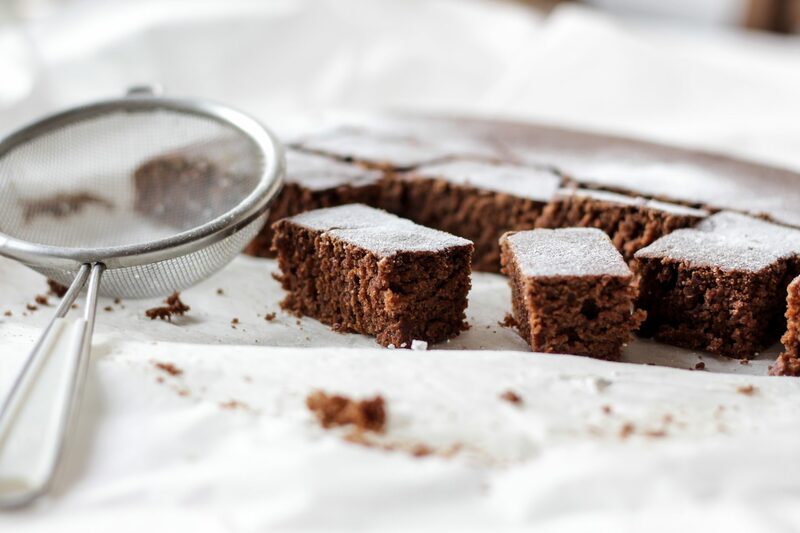 However many brownie recipes are full of butter, cream, masses of sugar and very little nutritional content. 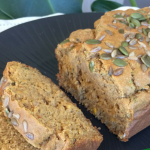 The good news is this recipe is packed with three kinds of veggies, four sources of natural fibre and over HALF A KILO of veggie goodness in every pan! As a bonus it is egg-free, dairy-free, gluten-free, nut-free and really allergy friendly, making it perfect for lunchboxes. These brownies also taste great! Preheat oven to 160 degrees. 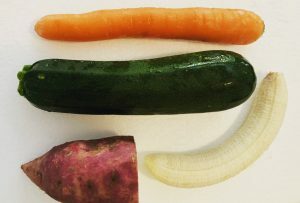 Peel the sweet potato and wash the carrot and zucchini. As you can see in the pic below I replaced the dates with a banana; very typically I went to the shops and came home missing something so I thought I’d give the banana a go and it worked a treat (you may just need to cook for a little longer – mine took an extra 10 minutes). 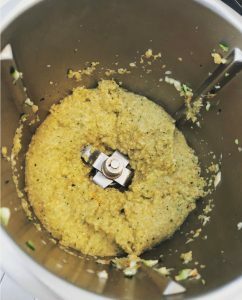 Roughly chop veggies and dates before blitzing in a food processor for about 30 secs, or until smooth. Add the oil, sugar and vanilla and process again until combined. Add the flour and cacao and mix for 30 – 60 seconds until a smooth batter forms. Spoon the batter into a lined brownie tray and stir through choc chips (if desired). Bake for 30 – 35 mins or until a skewer in the middle comes out sticky/not entirely clean. Allow to cool and then serve. 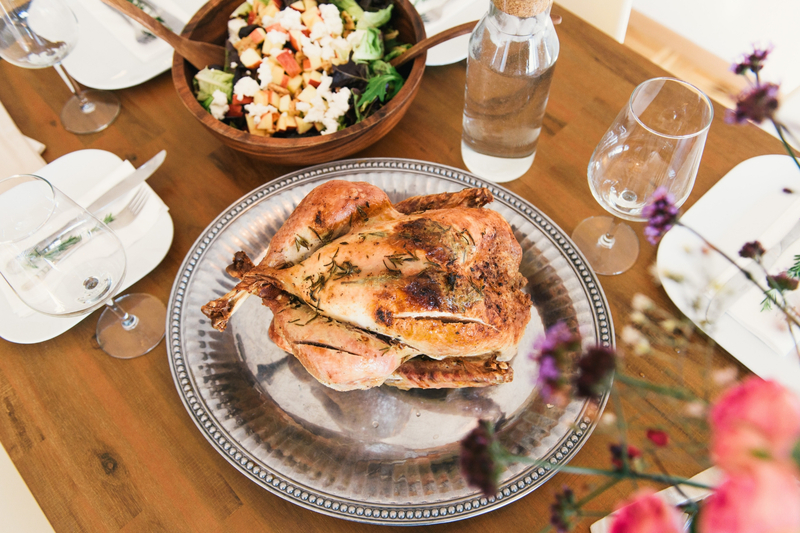 May be kept at room temperature for 4 – 5 days, suitable to freeze. 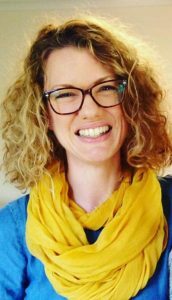 If you would like to connect with Holly, head to her website. You can find this recipe in our FREE Healthy Snacks Recipe eBook.